An overview of how to save your progress in Kingdom Hearts 3. In Kingdom Hearts 3, one thing you’ll want to learn how to do early on is save the game. While saving the game is relatively straightforward, there are certain things to keep in mind when playing. For example, the game works with both autosaves and save points. Confused? We’ve got you covered! Below, we’ve put together a quick guide on how to save in Kingdom Hearts 3! To save the game in Kingdom Hearts 3, you'll want to find and interact with save points. 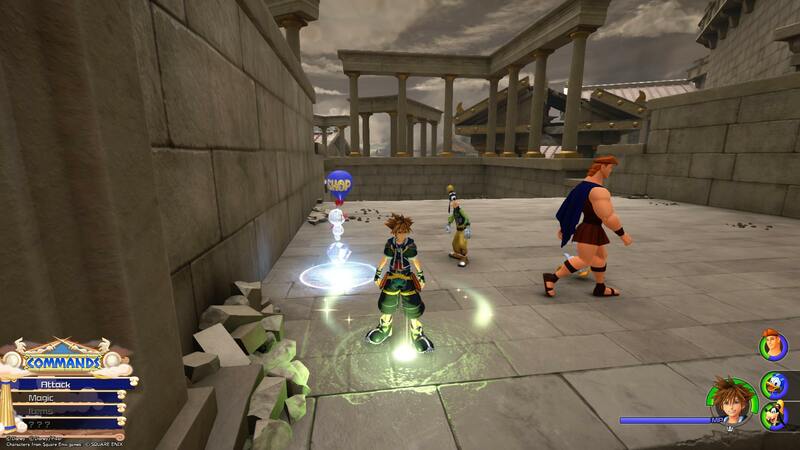 In Kingdom Hearts 3, you’ll be given the option to use a save point early on after you reach the world of Olympus. To save in Kingdom Hearts 3, you’ll need to find and interact with save points whenever you come across them. Appearing as glowing circles of light (as seen in the image above), save points are typically easy to spot when navigating the various worlds of Kingdom Hearts 3. To save, simply approach one of these save points and interact with it to save your progress. The first save will create a new save file which you can continue to save on top of as you reach new save points in the game. Whenever you spot a save point in the game, it’s a good idea to take a second to save, even if you don’t plan on closing out the game. 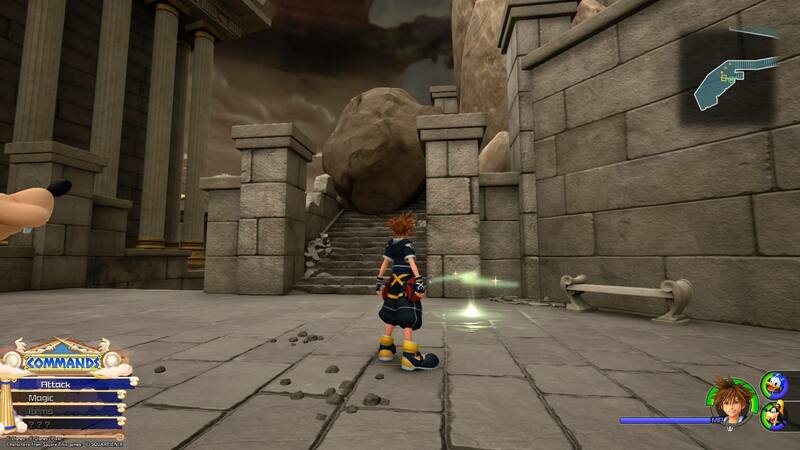 Save points appear as glowing green circles of light in Kingdom Hearts 3. After all, anything can happen and having your save file up-to-date will mitigate any complications. There are also autosaves that occur when you move between areas and worlds, though you'll still want to use save points whenever possible. Additionally, save points can be used to return to previous worlds, and can be used to return to the game's main title menu. By recognizing and interacting with save points, you’ll be able to preserve your progress throughout your Kingdom Hearts 3 journey. Now that you know how to save in Kingdom Hearts 3, what are some other things you’re looking to learn more about? Let us know down in the comments below!